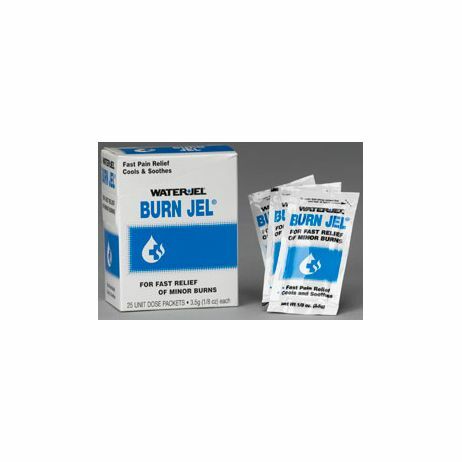 Home>First Aid Equipment>Wound Care>Burn Care>BURN JEL UNIT DOSE IN DISPENSER BOX 25 PCS. 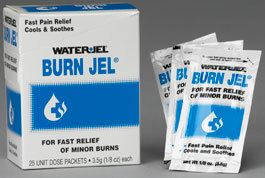 BURN JEL UNIT DOSE IN DISPENSER BOX 25 PCS. The same effective gel in unit dose packets 1/8 oz. (3.5 gm) each. Ideal for the workplace, this 25-pack dispenser box is well suited for larger kits and medical cabinets as well as first aid stations.